As expected, Rennes were beaten by PSG at Parc des Princes in their last league match. 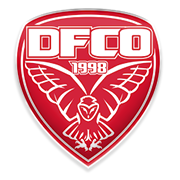 Les Rouges et Noirs, though, produced a fine display in the first half of the match against the star-studded team, which is surely giving fans a reason for optimism ahead of the visit of Amiens. Rennes aim to move a little closer to the Europa League berth in the Ligue 1 standings and we predict that they are going to go all guns blazing at Amiens on Matchday 23. The Unicorns, on the other hand, suffered a loss in each of their previous three league fixtures and seeing that they have been struggling in front of goal of late, we believe that there is a big value in betting on the hosts. You should bear in mind that Rennes defeated Amiens in their last meeting at Roazhon Park. Edson Andre Sitoe “Mexer”, who was born in Maputo, Mozambique on September 8, 1988, began his senior career at Desportivo Maputo and he scored three goals in 97 appearances for the club. Mexer played for his home-town club from 2006 to 2010 and in the winter of 2010 he joined Portuguese side Sporting for a fee of €173,000. The Mozambique centre-back was quickly loaned to Olhanense and it has to be noted that he made 39 appearances for the Primeira Liga club in the league. In 2012 he was sold to fellow Portuguese outfit Nacional and after playing 57 league games for the club, Mexer moved to France. The 187-cm-tall footballer signed a contract with Rennes in January, 2014 and he has been playing for les Rouges et Noirs ever since. Mexer made his debut for Mozambique national team in 2007 and he represented Os Mambas at the 2010 Africa Cup of Nations. He scored his first goal for Mozambique in a 5-0 win over South Sudan in the 2015 Africa Cup of Nations qualifiers. 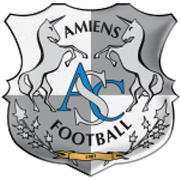 Amiens is a French football club that compete in Ligue 1. Les Licornes (The Unicorns) finished the 2016/2017 Ligue 2 campaign in second place in the standings and, as a result, they secured promotion to the French top flight for the first time ever. Amiens got their job done on the final day of the season, with Emmanuel Bourgaud scoring a late winner in the game against Reims. The club was founded back in 1901 by a group of players from the Association du Lycee d’Amiens and nowadays les Licornes play their home games at Stade de La Licorne. The capacity of the venue is 12.097 and it was opened on July 24, 1999. Experienced midfielder Mathieu Bodmer joined the club in the summer of 2017 and he is considered one of the team’s best players. The experienced defender used to play for the likes of Lyon, Lille, and Paris Saint-Germain in the past. Amiens play their home games in white shirts and white shorts, while they wear black when playing on the road.